The annual HERO Land’s End to John O’Groats Reliability Trial for cars built before 1986 takes place this weekend. 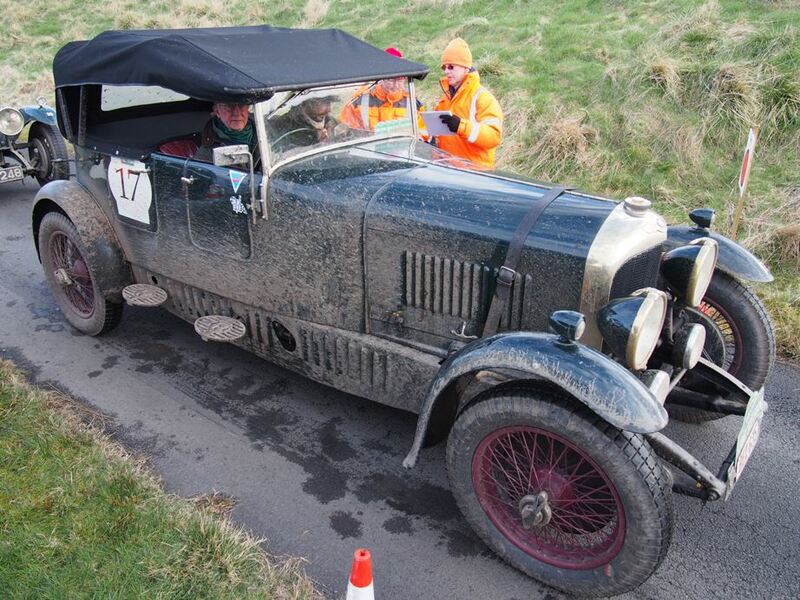 Over 70 cars will start the 1450 mile event, containing around 14 Tests and 33 Regularity Sections, from Land's End on Saturday morning (8th Dec.) at 07.30 Hrs and will reach John O'Groats around late afternoon on Tuesday the 11th. The event comes into Scotland after an overnight halt at Slaley Hall on Monday morning heading up through Hawick towards Callander then on to Fort William and beyond. Perhaps the best place to see it passing though is the Forrestburn Hillclimb (you can actually see the venue from the M8 Motorway at the Shotts turn-off) where the crews take part in a Timed Test up the Hillclimb track from about 3.30pm onwards. Entry list as ever is varied and evocative of times past with cars from the 1930s, 50s, 60s, 70s and early 1980s taking part with crews from all over Europe -maybe their last chance before Brexit, eh? Oh, and if you do fancy a trip out to Forrestburn on Monday afternoon, wrap up warm. It's so cold there that you won't see any Eskimos, they tend to shelter at lower altitudes during their annual migration to warmer climes! And one more thing. If you do meet up with the crews at a halt try not to get too deeply engaged in earnest conversation. This is a competition and they have a time schedule to keep - otherwise you might get clobbered with a starting handle.